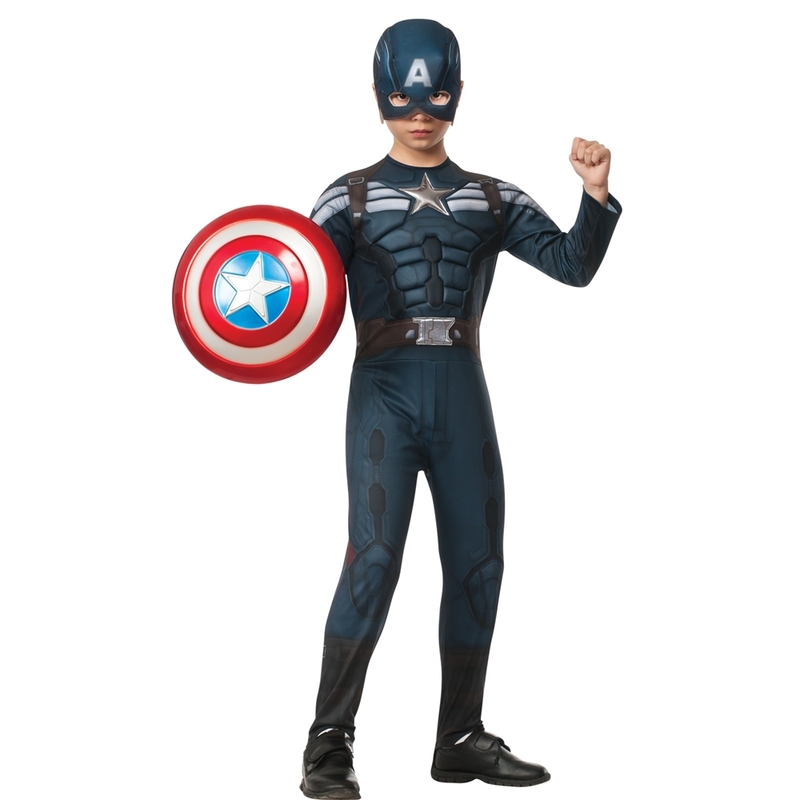 Watch him storm into action when he wears this Captain America 2 Stealth Deluxe Child Costume! This boys Captain America costume includes everything he'll need to become the winter soldier, including a muscle chest jumpsuit with a printed on holster and mask. This children's superhero costume is perfect for Halloween, ComicCon, The Avengers group costumes, and playtime fun! Hand wash with cold water. Do not bleach. Dry flat.Do not iron.